What's it all about? 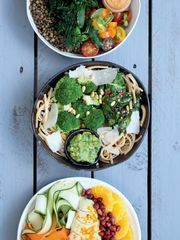 Lunchbox Salads is packed with healthy meal ideas to help you make the most of weekday lunches. 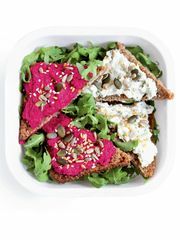 Abandon that dry shop-bought sandwich and unhealthy packet of crisps and make your next al desko lunch a meal to look forward to. 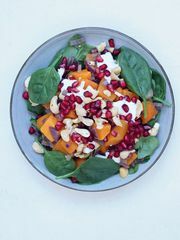 From light, bright and breezy, to substantial and filling, all the office lunch ideas in Lunchbox Salads are easy to make, transport well and are ready in under 30 minutes. 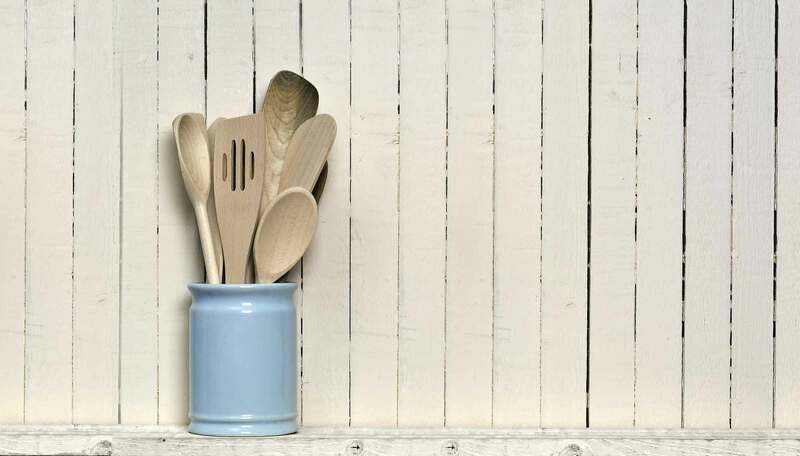 All you'll need to buy is a cute lunchbox to carry them in. 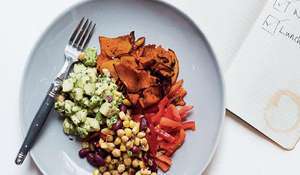 Recipes we love: Carrot, Kale and Chickpea Salad with Honey Dressing and Feta; Sweet Potato Nachos; Padron Pepper, Chorizo and Halloumi Salad. 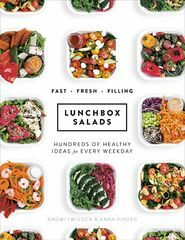 Good book for: Anyone who's sick of expensive, packaged, shop-bought lunches and ever wished they could change their workday eating habits for the better. You'll like it if: You've had enough of sandwiches. 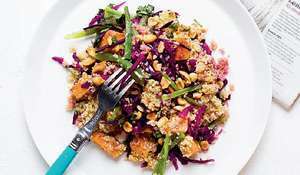 You enjoy fresh, vibrant and nourishing vege-focused food.